One of the most overlooked factors in the distance debate is how golfers are utilizing technology to optimize launch conditions and achieve longer drives. The ubiquity of launch monitors and increased customization of drivers have allowed professionals and amateurs to develop swings which produce greater distance even if they don't produce greater speed. One of the best ways to achieve this is to increase launch angle and decrease spin. Rather than rely on playing a driver with excessive loft (which will also increase spin), we recommend that golfers try to increase their angle of attack. 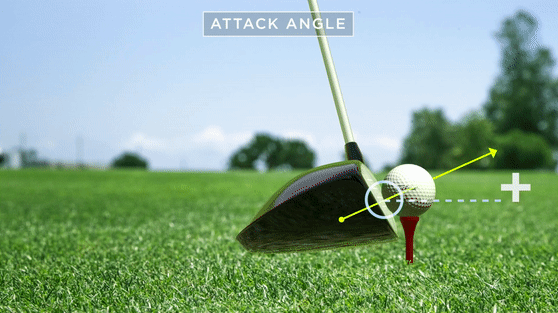 By hitting up on the ball (or by reducing the amount of negative attack angle), you're able to increase your trajectory and reduce your spin loft. "If you want to drive the ball far, you have to get the ball up quickly and reduce spin." Justin Thomas is a great example of a golfer who takes advantage of this on the PGA TOUR. He ranks 36th in Club Head Speed, 30th in Ball Speed, but 9th in Driving Distance. One reason he's able to accomplish this is by maintaining one of the most aggressive attack angles on the PGA TOUR. Elite Speed: While Thomas is no Cameron Champ, his average CHS in the 2018 season is 117 mph. Of all the factors that influence distance, raw speed is the most important. Quality Contact: There are a hundred reasons why PGA TOUR stars aren't like the rest of us, but one of their distinguishing skills is the ability to find the center of the club face with otherworldly consistency. High Launch, Low Spin: For the purpose of this article, this is the most important quality of Thomas' swing as it relates to distance. Because he's able to hit up on the ball, Thomas is able to achieve the high launch, low spin impact condition which produces a piercing ball flight and maximizes distance. 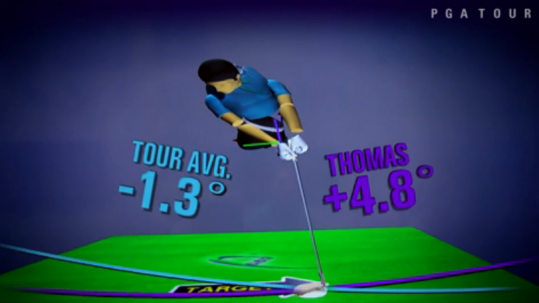 One reason Thomas is able to achieve this is what his does with his lower body to orient himself prior to impact. 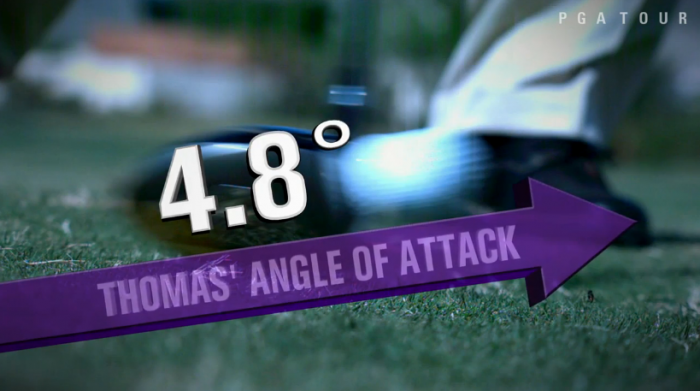 According to data from BodiTrak, Thomas has just 7% of his pressure on his lead foot at impact, evidence of how aggressively he's pushed into the ground with his lead leg, nearly lifting his foot off the ground. Not only does this play a huge role in creating elite CHS, but it raises the handle of the club, helping to shallow out the clubhead. But what if you're one of the golfers who doesn't hit up on the ball consistently? Is that representative of a technical problem? Or could a physical limitation prevent you from doing so? 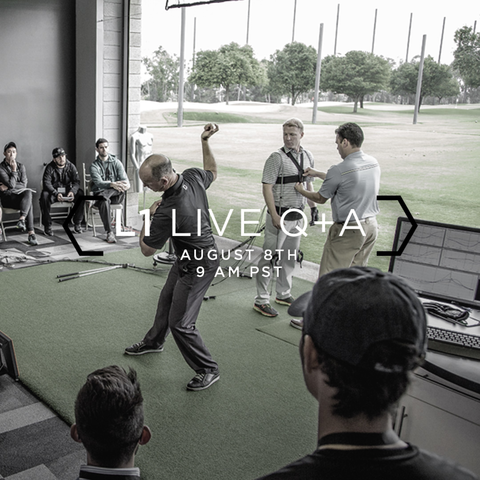 In our the Live Q+A's that we hosted for our Golf Level 2 course, Greg and Dave were asked this question which we've clipped below. Confused with hanging back(a fault of mine) and then trying to increase launch angle.HELP!!! Lots of new math here, does 7% left mean 93% right? I've been hitting down on the ball since 1 7/8 tees, balata and persimmon were standards.